On the perfect sunny day, how would you spend your precious day off? Playing golf with your colleague? Going for a small trip to somewhere? Walking round museums? Studying Japanese Kanji? Playing the piano? Going to go shopping and movie? Dating with your girlfriend or boyfriend? Or…you must be spending your whole day in the bed!! Good and welcoming news for those who cannot decide how to spend your day off! Today, we would like to share some information about great Japanese-mood café, we highly and strongly recommend spending your lovely holiday at. After five-minuets walking from the Jiyugaoka—自由が丘 station (crossing Tokyu-toyoko line and Tokyu-Oimachi line), you can find out the perfectly cozy, welcoming, reluxing café space on the head of the small hill; we call that place, “Kosoan—古桑庵”. 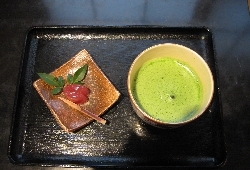 Very historical and in taste construction had been from Taisho Period—大正時代 (1912-1926). To be surprising enough, maybe not all but most of the building of Kosoan—古桑案 is maintained as it was at Taisho Period—大正時代. Also, the name of café “Kosoan—古桑庵” was given by Joji Matsuoka—松岡譲氏, son-in law of Souseki Natsume—夏目漱石, one of the most famous and best writers in Japan. 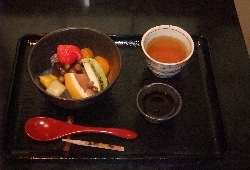 Besides, it is said that since the most part of house were made with wood of Kuwa—桑(mulberry tree), he named it kosoan—古桑庵. Café space is surrounded by full of green and little cute birds are always singing on the branch. 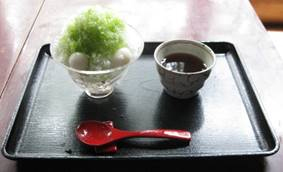 In such a relaxed atmosphere, you can enjoy variety of Kanmi—甘味, Japanese style sweets. And more, they have a small gallery there. We’re actually able to enjoy valuable collection of antiques, hand-made accessories, painting by famous artists, and so on. You had better check it out before visiting what is displaying now on the gallery, since it would be changing depends on the period of the time. 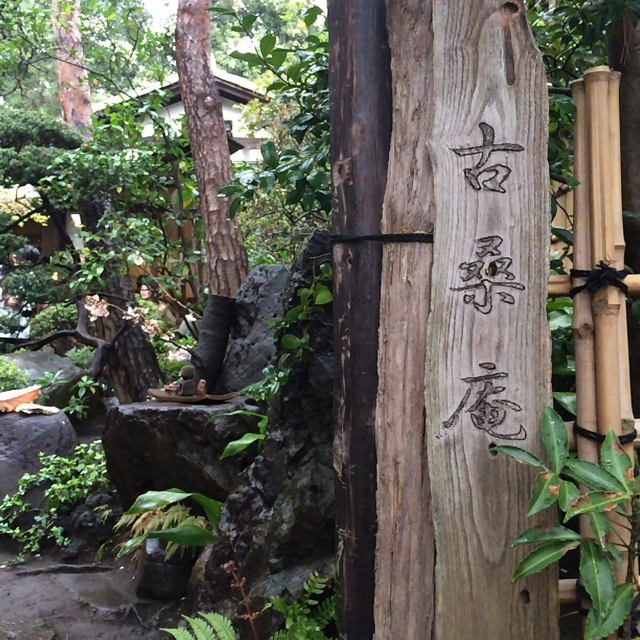 For those of you…who want to escape from the hustle and bustle of Tokyo, who want to feel old-time Japanese in mood of relaxing, who want to taste traditional Japanese Kanmi—甘味, and who want to enjoy some galleries, we do recommend visiting here and got relaxed for the power of your daily life. Now no choice for you on the holiday except for visiting Kosoan—古桑庵? 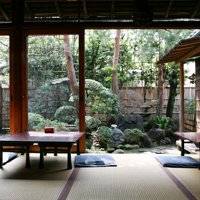 Why don’t you spend your day off in perfect Japanese café! More information about “Kosoan—古桑庵” can be found here.Click here below and get some detail! Have a lovely and wonderful cafe time at Kosoan—古桑庵!